United States Preventive Services Task Force. Screening for Bacterial Vaginosis in Pregnancy: Recommendations and Rationale: U.S. Preventive Services Task Force. The Internet Journal of Gynecology and Obstetrics. 2001 Volume 1 Number 2. 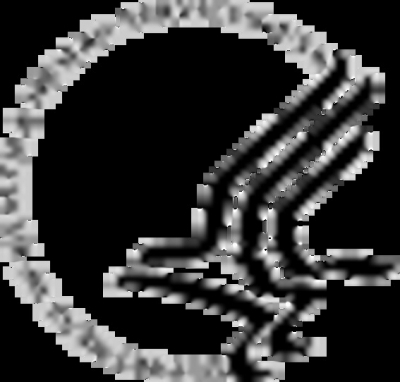 The U.S. Preventive Services Task Force (USPSTF) concludes that the evidence is insufficient to recommend for or against routinely screening high-risk pregnant women for bacterial vaginosis (BV). (See Clinical Considerations for discussion of populations at high risk.) I recommendation. The USPSTF found good-quality studies with conflicting results that screening and treatment of asymptomatic BV in high-risk pregnant women reduces the incidence of preterm delivery. The magnitude of benefit exceeded risk in several studies, but the single largest study reported no benefit among high-risk pregnant women. The USPSTF recommends against routinely screening average-risk asymptomatic pregnant women for bacterial vaginosis. D recommendation. There is good evidence that screening and treatment of BV in asymptomatic women who are not at high risk does not improve outcomes such as preterm labor or preterm birth. For women with a history of preterm delivery, screening for BV is an option. A single previous episode of preterm delivery by itself may not reliably identify a population of women who will benefit from screening and treatment. Nevertheless, screening may be appropriate in specific circumstances. Studies demonstrating a benefit of screening and treatment were performed among populations of women at especially high risk (35% to 57%) of pre-term birth. Clinicians should consider previous history of preterm delivery, other risk factors, and time of presentation in making the decision whether or not to screen for BV in women at high risk. For clinicians electing to screen high-risk women, the optimal screening test is not certain. Accepted clinical criteria for BV include vaginal pH > 4.5, amine odor on the application of KOH, appearance of a homogeneous vaginal discharge, and presence of clue cells on a microscopic examination of a wet mount. Presence of at least three of these four criteria is generally considered diagnostic of BV. The use of more limited criteria (e.g., clue cells alone) has not been evaluated. Neither the optimal time to screen high-risk pregnant women nor the optimal treatment regimen for pregnant women with BV is clear. The three trials that demonstrated a reduction in preterm birth screened in the second trimester (13 to 24 weeks of pregnancy) used various regimens of oral metronidazole alone or oral metronidazole and erythromycin. Treatment is appropriate for pregnant women with symptomatic BV infection. These women were excluded from most screening trials and may be at higher risk than those without symptoms. Treatment can relieve symptoms such as vaginal discharge. BV describes an imbalance in the normal vaginal bacterial flora characterized by a decrease in Lactobacilli and an increase in Gardnerella, Mycoplasma, and anaerobic bacteria. BV is a common cause of abnormal vaginal discharge and has been associated with adverse pregnancy outcomes. The true prevalence of BV in the community is not known. Studies in academic medical centers and public hospitals found 9% to 23% of pregnant women had BV, with infection more common among African-American women than Caucasian women. Observational studies have consistently shown an association between BV and adverse pregnancy outcomes, including preterm delivery (relative risks [RRs] ranging from 1.4 to 6.9), preterm premature rupture of membranes (RR=2.0 to 7.3), spontaneous abortion (RR=1.3 to 2.0), and preterm labor (RR=2.0 to 2.6). Preterm delivery is associated with significant respiratory, neurologic, and developmental abnormalities in the newborn that might result in death or long-term disability. A short course of antibiotic therapy can alter the microflora imbalance associated with BV, but cure rates are variable and recurrences are common. Because BV may be a marker for adverse pregnancy outcomes, rather than a causative factor, controlled trials have been conducted to determine whether treating BV will also improve pregnancy outcomes. The screening test employed in most epidemiologic studies and treatment trials of BV has been the Gram stain of the vaginal discharge. In practice, a combination of other clinical findings is usually used (See “Clinical Considerations”). Comparisons of clinical criteria and Gram stain yield sensitivities from 62% to 97% and specificities from 66% to 95%, using the Gram stain as the standard. The use of more limited diagnostic criteria has not been evaluated in studies of adverse pregnancy outcomes. Seven randomized controlled trials have evaluated the effect of various antibiotic treatments versus placebo on pregnancy outcomes among women with BV: Three studies enrolled only high-risk women (primarily history of prior preterm delivery), two reported results separately for women with and without a prior history of preterm delivery, and two enrolled average-risk women. Among four studies reporting results for average-risk women, there were no differences between control groups and treatment groups in rates of preterm delivery, preterm premature rupture of membranes, or delivery of low birth weight infants. Five studies reported conflicting results among women at increased risk because of a history of preterm delivery in previous pregnancies. Oral antibiotic treatment reduced the incidence of preterm delivery before 37 weeks in 3 studies, which enrolled women at particularly high risk (incidence of preterm delivery in placebo groups 35% to 57%). In contrast, in a large multicenter, American trial completed in 1999, a different regimen of oral metronidazole provided no benefit for the subgroup of women who had a history of previous preterm delivery. A fifth small study reported no benefit of vaginal clindamycin among high-risk women. Since BV is common, screening and treatment could subject a substantial number of women to the inconvenience and minor side effects (primarily nausea) of taking metronidazole and other antibiotics during pregnancy. The regimens used to treat BV are generally considered safe in pregnancy, but several studies raise the possibility of harms in some women or their infants. In two studies, a subgroup of women who did not have BV but received treatment with metronidazole or clindamycin experienced trends toward higher incidence of preterm delivery before 34 weeks gestation (12% to 13% versus 4% to 5%). In addition, neonatal sepsis was significantly increased among women receiving vaginal clindamycin. Epidemiologic data and some intervention trials support the hypothesis that screening for and treating BV may reduce the risk of preterm delivery among some women. Studies published to date do not suggest any benefit of treating BV among asymptomatic, average-risk women, but additional studies of earlier intervention with different drug regimens are being conducted in these populations. At present, however, the lack of demonstrated benefit and possibility of adverse effects of treatment in women without BV suggest that routine screening of average-risk women should be discouraged outside of research protocols. For pregnant women with prior preterm delivery, the inconsistent results of well-done studies prevent a clear recommendation for or against screening. Reasons for the conflicting results are not clear but may involve differences in other risk factors for preterm delivery among enrolled women or differences in drug regimens and timing of therapy. Further studies are needed using diagnostic criteria and treatment protocols that are representative of community practice. Corresponding Author: Alfred O. Berg, MD, MPH, Chair, U.S. Preventive Services Task Force, c/o David Atkins, MD, MPH, Coordinator for Clinical Preventive Services, U.S. Preventive Services Task Force, Agency for Healthcare Research and Quality, Center for Practice and Technology Assessment, 6010 Executive Boulevard, Suite 300, Rockville, MD 20852. (301) 594-4016, fax (301) 594-4027, E-mail: datkins@ahrq.gov. Members of the U.S. Preventive Services Task Force are: Alfred O. Berg, MD, MPH, Chair, USPSTF (Professor and Chair, Department of Family Medicine, University of Washington, Seattle, WA); Janet D. Allan, PhD, RN, CS, Vice-chair, USPSTF (Dean and Professor, School of Nursing, University of Texas Health Science Center, San Antonio, TX); Paul S. Frame, MD (Tri-County Family Medicine, Cohocton, NY, and Clinical Professor of Family Medicine, University of Rochester, Rochester, NY); Charles J. Homer, MD, MPH (Executive Director, National Initiative for Children's Healthcare Quality, Boston, MA); Tracy A. Lieu, MD, MPH (Associate Professor, Department of Ambulatory Care and Prevention, Harvard Pilgrim Health Care and Harvard Medical School, Boston, MA); Cynthia D. Mulrow, MD, MSc (Professor of Medicine, University of Texas Health Science Center, Audie L. Murphy Memorial Veterans Hospital, San Antonio, TX); C. Tracy Orleans, PhD (Senior Scientist, The Robert Wood Johnson Foundation, Princeton, NJ); Jeffrey F. Peipert, MD, MPH (Director of Research, Women and Infants' Hospital, Providence, RI); Nola J. Pender, PhD, RN (Professor and Associate Dean for Research, School of Nursing, University of Michigan, Ann Arbor, MI); Harold C. Sox, Jr., MD (Professor and Chair, Department of Medicine, Dartmouth-Hitchcock Medical Center, Lebanon, NH); Steven M. Teutsch, MD, MPH (Senior Director, Outcomes Research and Management, Merck & Company, Inc., West Point, PA); Carolyn Westhoff, MD, MSc (Associate Professor of Obstetrics, Gynecology and Public Health, Department of Obstetrics and Gynecology, Columbia University College of Physicians and Surgeons, New York, NY); and Steven H. Woolf, MD, MPH (Professor of Family Medicine, Department of Family Practice, Medical College of Virginia, Fairfax, VA). Reprints are available from the AHRQ Web site at www.ahrq.gov/clinic/uspstfix.htm, through the National Guideline Clearinghouse (www.guideline.gov), or in print through the AHRQ Publications Clearinghouse (1-800-358-9295). A. The USPSTF strongly recommends that clinicians routinely provide [the service] to eligible patients. The USPSTF found good evidence that [the service] improves important health outcomes and concludes that benefits substantially outweigh harms. B. The USPSTF recommends that clinicians routinely provide [this service] to eligible patients. The USPSTF found at least fair evidence that [the service] improves important health outcomes and concludes that benefits outweigh harms. C.	The USPSTF makes no recommendation for or against routine provision of [the service]. The USPSTF found at least fair evidence that [the service] can improve health outcomes but concludes that the balance of benefits and harms is too close to justify a general recommendation. D.	The USPSTF recommends against routinely providing [the service] to asymptomatic patients. The USPSTF found at least fair evidence that [the service] is ineffective or that harms outweigh benefits. E. The USPSTF concludes that the evidence is insufficient to recommend for or against routinely providing [the service]. Evidence that the [service] is effective is lacking, of poor quality, or conflicting and the balance of benefits and harms cannot be determined. 1. Guise JM, Mahon SM, Aickin M, Helfand M, Peipert JF, Westhoff C. Screening for bacterial vaginosis in pregnancy. Am J Prev Med 2001;20:62-72. 2. Guise JM, Mahon S, Aickin M, Helfand M. Screening for bacterial vaginosis in pregnancy. Systematic evidence review. Pub. No. AHRQ01-S001. Rockville, MD: Agency for Healthcare Research and Quality, 2001. 3. Centers for Disease Control and Prevention. 1998 guidelines for treatment of sexually transmitted diseases. MMWR Morb Mort Wkly Rep 1998;47:70-4. 4. Bacterial vaginosis screening for prevention of preterm delivery. Committee Opinion No. 198. Washington, DC: American College of Obstetricians and Gynecologists, February 1998.